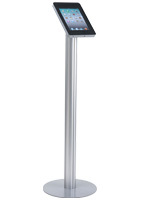 These freestanding iPad kiosks for Apple 2nd, 3rd and 4th Gen tablets are sturdy, durable and attractive commercial-grade fixtures designed to withstand heavy use. 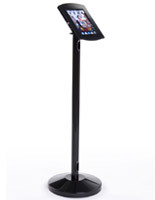 Each 46" tall tablet stand is made of durable steel with a black finish that goes with an interior. 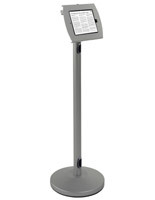 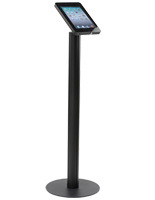 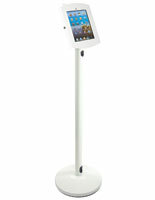 The versatile iPad kiosks for retail, restaurant or commercial use offer maximum usability for apps or media displays. 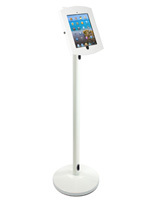 The interactive fixtures allow 360° rotation, tilt, built-in cable management and include foam padding to protect devices. 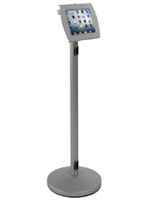 The user-friendly floor kiosks block access to the home button to prevent customers from navigating to unauthorized apps. 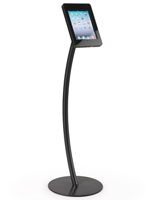 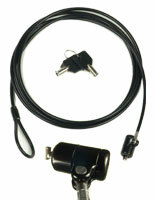 Each stand has a locking design that keeps valuable electronics safe from theft.